Casumo was introduced to the online casino audience in 2012. Since then, Casumo has become one of the strongest and most popular online casino brands. Some of the most obvious factors for the success of this brand are the unique and user-friendly design, a set up of very beneficial bonus promotions that are aimed to suit all player types and a massive collection of casino games that are supported on all digital devices and operating systems which is superior to most of the competition. Casumo offer a safe and secure online gambling environment which is licensed and regulated by the most respected online gambling jurisdictions on the planet. At the moment, the catalogue of games at Casumo holds more than 1,400 titles. However, with a steady increase of new games being added every week one can imagine the inventory to continue to grow. The majority of the games are video slots but there is also a rich collection of other game types such as live dealer games, video poker, card/table games, jackpot slots and instant win games. The contributing game producers at Casumo is a long list of some of the most popular and established vendors including NetEnt, Play’n GO, Microgaming, Novomatic Greentube, Bally Technologies, IGT, Williams Interactive, ELK Studios, NextGen Gaming, Thunderkick, Quickfire and many more. The live dealer games are provided by Evolution Gaming and NetEnt Live. Considering the number of games that members of Casumo will be able to access, the game lobby is very easy to master. The games are separated by game type but there are also several sub-categories that will ease the navigation. Some of these are New Games, Popular Games and Exclusive Games. If there is a specific game the player wants to locate then the quickest way to do so is probably by using the search function where one would simply enter the game title in order to find it. Casumo’s customer support is online and ready to assist members all the time. They can be reached by e-mail or by using the live chat function which is easy to locate anywhere on the site. The FAQ page is also a tool that can be helpful at times and where players can find information relating to player account management, bonus and promotions, banking, technical requirements and much more. Casumo is available in English, Finnish, German, Norwegian and Swedish. Casumo is owned and operated by Casumo Services Limited. They are licensed by the UK Gambling Commission, the Malta Gaming Authority and the Swedish Gambling Authority (Spelinspektionen). Casumo meets the highest standards of player safety, fairness and responsible gaming policies. Casumo offer a good selection of different welcome bonuses that new members can use. These vary depending on in which country you’re located. Check here below to find out what welcome bonus offer you can get as a new member of Casumo! United Kingdom: Get 20 No Deposit Spins in Starburst and 100% up to £300 on First Deposit! 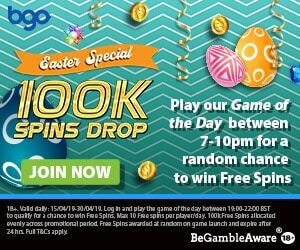 Click here and join Casumo and collect 20 No Deposit Spins + 100% up to £300! Germany: Get 20 No Deposit Spins in Book of Dead and 100% up to €500 + 100 Free Spins on First Deposit! Players living in Germany can claim 20 no deposit spins in the very popular Book of Dead video slot which will be available upon a successful membership registration. There’s also a first deposit bonus of 100% up to €500 + 100 additional free spins available. Bonus + deposit amounts and winnings from free spins are subject to a x30 wagering requirement. Sweden: Get 20 No Deposit Spins in Book of Dead and 100% up to 20 000kr on First Deposit! “18+. Endast nya spelare. 100% upp till 20 000 kr. 20 bonus spins i Book of Dead vid registrering. Insättningsbonusar och vinster från bonus spins har ett omsättningskrav på 30 gånger. Min. insättning 100 kr. Spela ansvarsfullt“. Click here and collect your No Deposit Spins and more at Casumo! Canada: Get a First Deposit Bonus of 100% up to $500 + 100 Free Spins in Book of Dead! Residents of Canada are able to enjoy a generous first deposit bonus of 100% up to $500 + 100 free spins as new members of Casumo. The free spins will be available in the Book of Dead video slot. Bonus + deposit amounts and winnings from free spins are subject to a x30 wagering requirement. Norway and Finland: Get a First Deposit Bonus of 100% up to €2,000 + 20 Spins in Book of Dead! Players residing in Norway and Finland are eligible for a massive first deposit bonus of 100% up to €2,000 + 20 free spins in the Book of Dead video slot by Play’n Go. The bonus and winnings from the free spins are subject to a x30 wagering requirement. Click here and join Casumo and collect your Welcome Bonus! Other countries: Get a Welcome Bonus Package worth up to €1,200 + 200 Free Spins! 1st deposit: 200% up to €50 + 200 Free Spins in Starburst (20 rounds per day for the next 10 days)! 2nd deposit: 50% up to €150! 3rd deposit: 50% up to €200! 4th deposit: 25% up to €400! 5th deposit: 25% up to €400! Bonus + deposit amounts and winnings from free spins are subject to a x30 wagering requirement. Click here and become a member of Casumo and enjoy your Welcome Bonus Package! More Player Treats at Casumo: The Adventure! As soon as you become a member of Casumo, you will be a part of the Adventure. This is basically a on-going rewards system that allows you to explore the universe of Casumo. The program is based on a level system that rewards you as you progress to a higher levels. On this adventure, players will earn Trophies that symbolises that they managed to fulfill a certain mission. These achievements are then rewarded by Valuables that can come in the form of extra free spins, deposit bonuses, free casino cash etc. In short, your membership at Casumo will be filled with adventure and rewards. Casumo accepts all major payment methods such as credit/debit cards, e-wallets and several different regional direct bank transfer solutions. All transactions and other stored information is protected using the most sophisticated encryption technology available. Popular Online Video Slots at Casumo! Casumo offer a gigantic collection of online video slots that are provided by the most acclaimed game developers including Play’n GO, NetEnt, Microgaming, ELK Studios, Thunderkick, Quickspin just to name a few. Some of the most popular video slots at Casumo are Book of Dead, Starburst, Scudamore’s Super Stakes, Gonzo’s Quest, Grizzly Gold, Fat Rabbit, Ecuador Gold, Mayan Gods and Legacy of Egypt. United States, American Samoa, Guam, Marshall Islands, North Mariana Islands, Puerto Rico and the Virgin Islands, Italy, France, Spain, Denmark, Turkey, Guyane (French Guiana), Réunion, Guadeloupe, Martinique, China, Hong Kong or North Korea. Thursday 14/5/15 – Casumo offers 20/60 Free spins on deposit. Get more freespins Jack and the Beanstalk on your deposits! 20 freespins on a €10 deposit, and 60 freespins on a €30 deposit!. – Promo starts at 12:00pm and ends on 15/5 at 11:59pm. Register an account at Casumo and open the new mobile and get 10 free spins on the brand new Stickers Touch upon login! The promotion starts today at 12:00pm and ends on 26/5 at 11:59pm. More freespins on more games as as Casumo give all players, 7 fresspins on Gonzo’s Quest on login and another 20 freespins when on deposit. The promotion starts at 12:00pm and ends on 29/5 at 11:59pm. Free Spins galore at Casumo casino on Monday 27th of July 2015. Make a deposit of €10 and get 20 free spins, Deposit €30 and get 50 free spins, or deposit €50 and get 100 free spins in Mega Fortune and get the chance to win the Jackpot!